This peak is #45 on the Height List for Oregon . 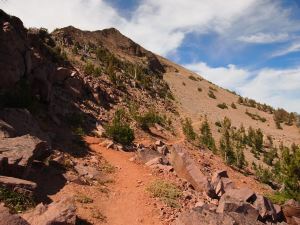 This peak is #8 in Prominence List for Oregon .Strawberry Mountain is the highest point in the Strawberry Mountains, a sub-range of the Blue Mountains located southeast of John Day, Oregon. It is also the centrepiece of the Strawberry Mountains Wilderness Area. It can be accessed via several trails, the shortest from Strawberry Creek to the northeast.